My name is Chris Farley, yes, my name really is Chris Farley. My background prior to Real Estate, is Long Term Care. I have always loved real estate and decided one day that life is too short and that I should do what I really love in life. So, here I am. The best part about being in Real Estate is that I am able to help people find their dream homes. If you know of anyone that I could help, please forward my information to them. My hope for you is that you live life to the fullest. 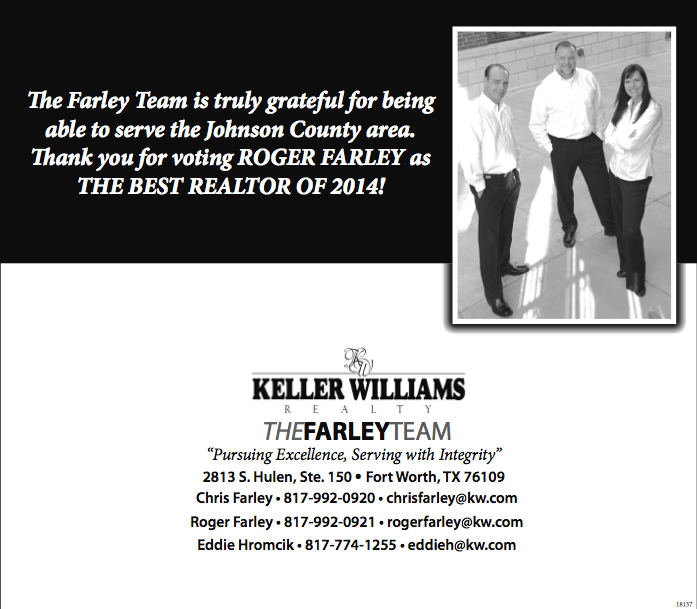 Congratulations to Roger Farley, for being voted Johnson County's "BEST REAL ESTATE AGENT!" 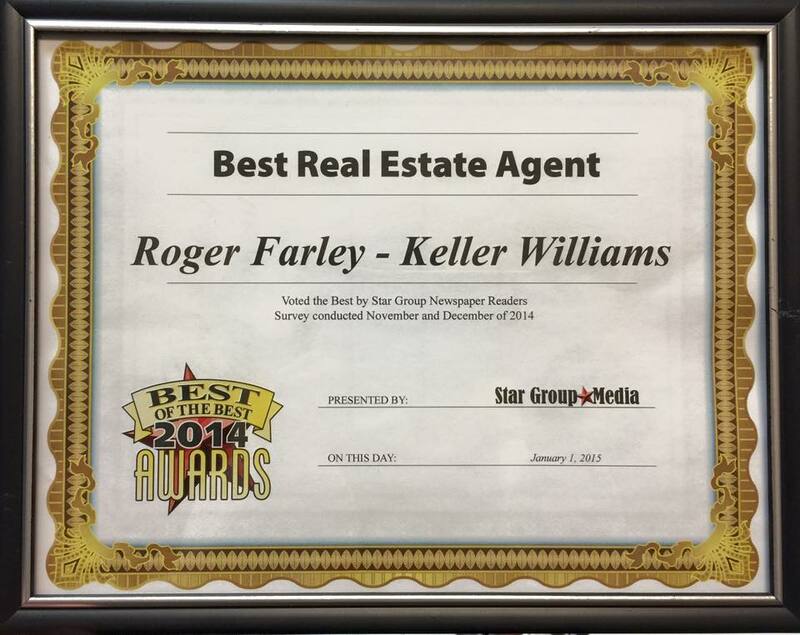 Johnson County's Best of the Best 2014 Awards was held by Star Group Media and voted on by the citizens of Johnson County. Good job, Roger! You deserve it! !